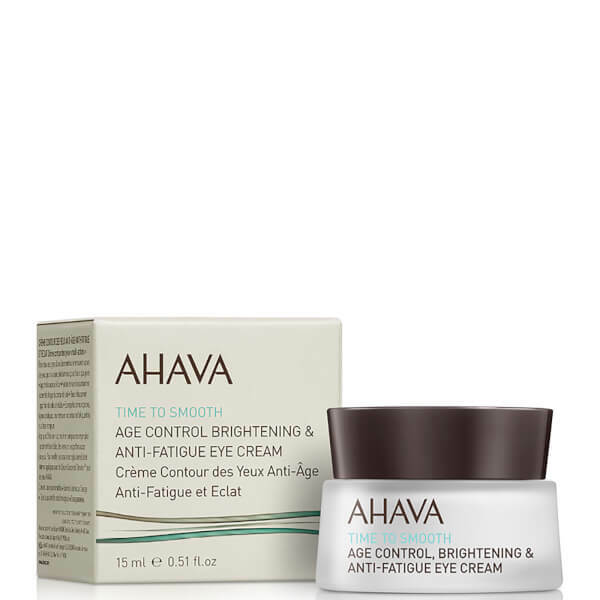 Revitalise tired eyes with AHAVA Age Control Brightening Eye Cream; a creamy-gel formula that absorbs quickly to refresh, illuminate and hydrate. Fortified with Osmoter™ (the brand's proprietary blend of Dead Sea Minerals) and a natural form of Retinol, the lightweight cream strengthens and protects the delicate eye area. Provides anti-ageing and antioxidant properties to defend against environmental aggressors, whilst minimising the appearance of fine lines, dark circles and under-eye puffiness. Expect a smoother, more refined eye area with renewed radiance and vitality. Use morning and evening. Apply a pea-sized amount around the eye area and gently massage in a circular counter clockwise motion.